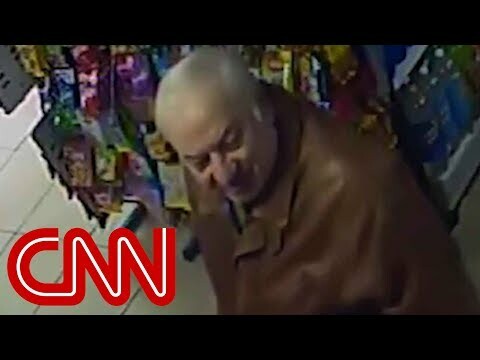 Was Russian spy ‘poisoning’ an assassination attempt?. Sergei Skripal and his daughter Yulia are still fighting for their lives in hospital in Salisbury after the attack. Police have more information about the substance which has placed a former spy and his daughter in intensive care, the Home Secretary Amber Rudd has said. Sergei Skripal and his daughter Yulia remain in a critical condition in hospital in Salisbury after they were found slumped on a bench at The Maltings shopping centre. Ms Rudd chaired a Cobra meeting on Wednesday, which discussed the alleged poisoning. A further statement from the Metropolitan Police is expected this afternoon. “This is likely to be a lengthy investigation. “We need to make sure we respond to evidence, not rumour. “We do know more about this substance. We must let the police carry on this work, and they will share more information this afternoon. She would not be drawn to confirm whether Mr Skripal is a British citizen. Ms Rudd also said “all the action necessary” had been taken to ensure the public was completely safe. Prime Minister Theresa May began PMQs by thanking the emergency services for their response. The investigation is being led by the Counter Terrorism Unit, but is not being treated as terrorism. On Wednesday, Assistant Commissioner Mark Rowley, the head of Counter Terrorism Policing, said: “The focus at this time is to establish what has caused these people to become critically ill. We would like to reassure members of the public that this incident is being taken extremely seriously and we currently do not believe there is any risk to the wider public. Officers want to speak to anyone who was in Zizzi, or the Bishop’s Mill pub. Mr Skripal was convicted in Russia of spying for MI6 in 2006, and later given refuge in the UK as part of a spy swap. Yulia currently works for Pepsico in Moscow, according to her Facebook account, after moving to Britain for a few years in 2010. The incident is putting more strain on the already tense UK-Russia relationship, and Russia has denied any involvement. In a press conference in Russia, Maria Zakharova of the foreign ministry said the link was being made to whip up anti-Russia sentiment. She would not confirm if Mr Skripal was still a Russian citizen. The head of the Russia institute at King’s College London said the Kremlin would be able to maintain plausible deniability and always shift suspicions to “innate Russophobia”. “Even if in fact this has been somehow sanctioned or ordered out of the Kremlin, the reality is that… the investigation is never going to find hard and fast evidence that would lead all the way up the chain of command. Natasha Kuhrt, an expert on Russian foreign policy, said it was possible to surmise that Mr Skripal had made many enemies in his time as a double agent. She said it was unlikely that billionaire Russians who had strong ties with Britain, living and sending their children to school here, would stop doing so, but that sanctions preventing them could have an impact.